Posts tagged with "Radio Disney"
The sisters Chloe × Halle are an American R&B duo who first came to attention after winning Radio Disney’s Next Big Thing. They have been active from 2013 and since then, they have made appearances in Beyonce’s Lemonade album and during her Formation World Tour. They have grown significantly in the last several years and after a highly anticipated wait, they released their debut album “The Kids are Alright” on March 23, 2018. The album was both written and produced by the talented sisters and has left an impressed reaction amongst their audiences. See 360’s collaboration with them here and here. This entry was posted in Uncategorized and tagged 360 Magazine, album, America, American, artists, Atrin Yazdani-Biuki, audiences, Beyonce, Beyonce's Lemonade album, Celebrities, Celebrity, Chloe, Chloe x Halle, collaboration, debut album, Disney, duo, Formation World Tour, Halle, hollywood, Lemonade, Lemonade album, music, pop culture, r&b, Radio Disney, Radio Disney's Next Big Thing, rap, rappers, singers, sisters, songwriters, talent, talented, The Kids are Alright, tour, us, USA, Vaughn Lowery, world tour on June 26, 2018 by wp360mag. 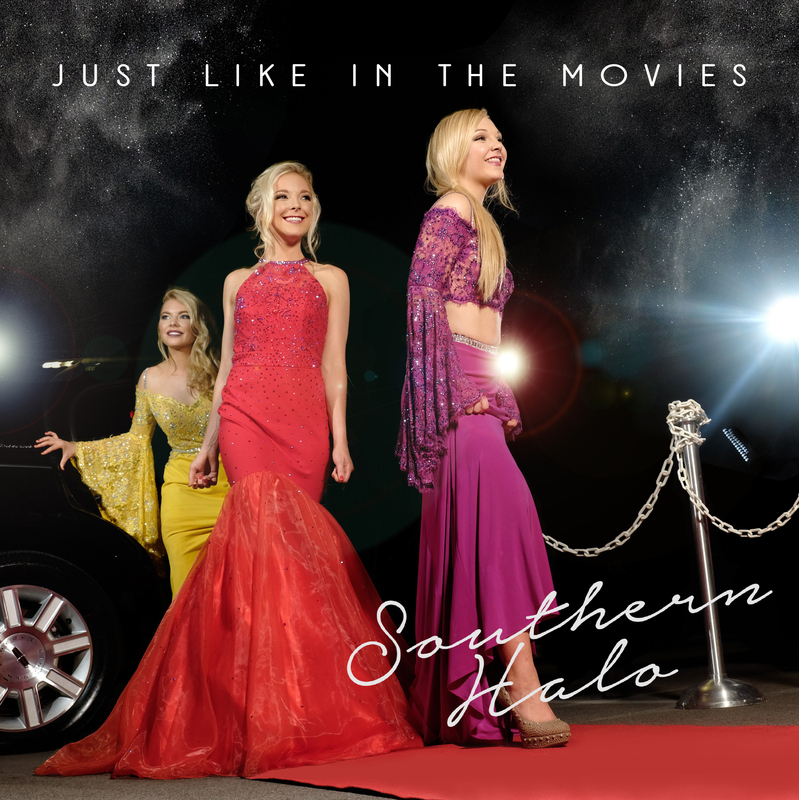 SOUTHERN HALO‘s story arc expands with the April 27 release of their latest CD, the concept-driven, dream-inspired JUST LIKE IN THE MOVIES. This 14-track package, produced by Catt Gravitt and Gerald O’Brien, mirrors the emotional and musical growth of Natalia, Hannah and Christina Morris, the three sisters from the Mississippi Delta who form SOUTHERN HALO. Inspired by a dream of Natalia’s, JUST LIKE IN THE MOVIES features 10 songs written or co-written by the lead vocalist/guitarist, and four titles from Music City’s hottest tunesmiths. The catchy ode to the glories of Southern womanhood, “Southern Halo,” kicks off the project and marks the first “scene” of this movie-made-music. A co-write with Roxie Dean, the strong, multi-layered vocals and sing-along chorus make this a natural choice for the first “instant gratification track” offered with each iTunes and Amazon pre-order of the CD. The disc is the second outing for the trio with SESAC’s 2012 Writer of the Year Catt Gravitt (Kelly Clarkson, Jake Owen) and Gerald O’Brien (Martina McBride, Trace Adkins) at the helm. Dream-Inspired Concept Disc Available For Pre-Order Now. This entry was posted in Uncategorized and tagged 360 Magazine, Amazon, apple music, art, artists, California, Canada, Cape Town, Catt Gravitt, CD, Celebrity, Chicago, China, Christina Morris, collaboration, composer, Concept Disc, country, culture magazine, Dallas, Deezer, download, dream-inspired, edgy fashion magazine, emotions, Gerald O'Brien, Global Society, GRL PWR, guitar, Hannah Morris, iheartradio, Inspiration, INSTAGRAM, international, iTunes, Jakarta, Jake Owen, Japan, Johanessburg, JUST LIKE IN THE MOVIES, Kelly Clarkson, London, Los Angeles, Martina McBride, Melbourne, Miami, Milan, Mississippi, Mississippi Delta, movie-made-music, music, Music City, music video, musician, musicians, Natalia Morris, Netherlands, New Album, new orleans, New Release, new single, New Song, New York, newmusic, pandora, Paris, pop, pop culture, pre order, Premiere, radio, Radio Disney, recording artist, records, Roxie Dean, San Francisco, SESAC, singers, sisterhood, sisters, social media, songwriter, soundcloud, Southern California, SOUTHERN HALO, Southern Halo Records, spotify, streaming, Sweden, Sydney, Texas, Trace Adkins, trio, tunesmiths, USA, Vaughn Lowery, vocalist, womanhood, Writer of the Year, YouTube on March 9, 2018 by wp360mag. Warner Music Nashville’s Tegan Marie glowed while attending New York Fashion Week on Monday and Tuesday (9/11-12). 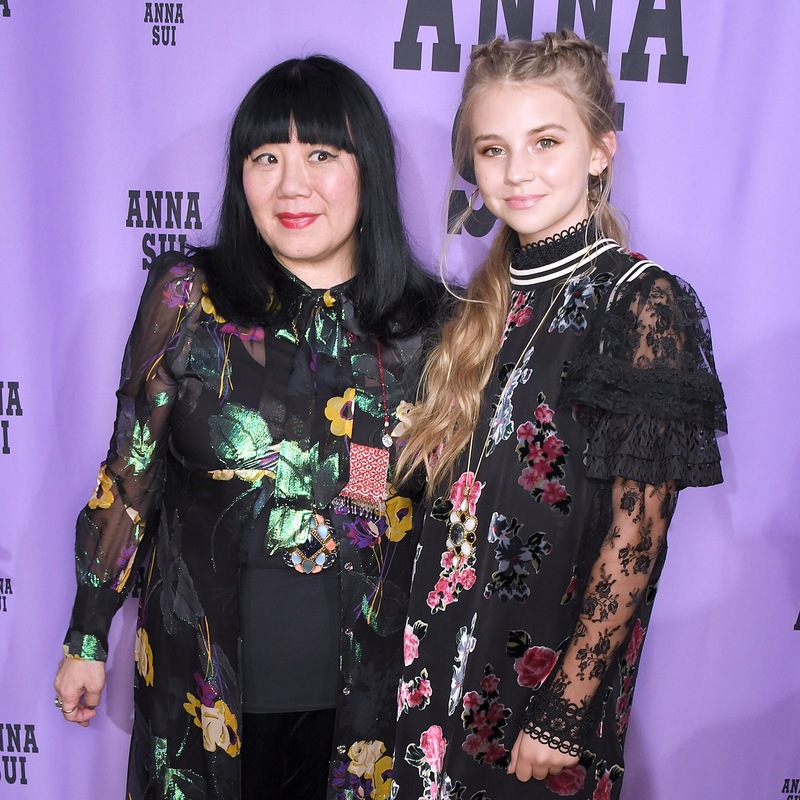 At just 13 years old, her sophisticated sense of style was on full display while sitting front row at Anna Sui. This fashion bucket list moment checks another one off the list following her record deal signing last month. The rising star is the youngest female artist to sign a major label Country deal in 45 years. With a larger-than-life voice, the budding singer-songwriter was discovered by leading Gen Z girls’ media platform Sweety High when her father uploaded videos of her cover songs to their site. Tegan Marie – also a Radio Disney Country artist – since catapulted into the national spotlight with several high-profile media performances and appearances including ABC’s Good Morning America and PBS’ star-studded special Smokey Robinson: The Gershwin Prize and the 2017 Radio Disney Music Awards. Last year, the Flint, MI, native released the song, “Lucky Me,” to benefit the children affected by the water crisis in her hometown. Continuing the momentum, her breathtaking rendition of Florida Georgia Line’s #1 hit song, “H.O.L.Y.,” racked up over 17 million views on Facebook alone. Tegan has amassed over 75 million video views and receives over five million engagements online each month. She’s also had a string of impressive performances, sharing the stage with singers Cam, Smokey Robinson and duetting with Kelsea Ballerini. This past spring Tegan appeared at CMA Music Festival on the Radio Disney Country stage and at California’s popular Country music festival Stagecoach to great acclaim. Critics praised her performance with USA Today hailing, “[Tegan] Marie has the personality and the voice of a future star, and she definitely has the always hard-to-define ‘It.’” She recently wrapped a six-city tour with Pepsi MidAmerica and is currently writing for her debut album. Follow her on Facebook, Twitter, Instagram and YouTube. Warner Music Nashville was created in 2009 with the goal of expanding the presence of WMG and its family of labels has had in the Nashville music community for more than 60 years. Under the leadership of Chairman & CEO John Esposito, the division is home to Warner Bros. Nashville, Atlantic Nashville, Elektra Nashville and the LoudMouth comedy label. Sweety High is an empowered destination for Gen Z females. As a vertically integrated media company consisting of a website, content studio, SH Music and SH Insights, they employ data, premium content, talent and audiences to create and distribute the cultural conversation. Focused on both entertainment and lifestyle, they’ve enjoyed partnerships with Disney, NBCU, America’s Got Talent, Macy’s, Sony and Live Nation among many others. This entry was posted in Uncategorized and tagged 360 Magazine, America’s Got Talent, Anna Sui, Atlantic Nashville, California, CMA, country, Diana Macaraeg, Disney, elektra Nashville, Florida Georgia line, gen z, good morning America, Jennifer Graylock, John Esposito, Kelsea Ballerini, Live Nation, Macy’s, music festival, Nashville, NBCU, New York Fashion Week, PBS, Radio Disney, runway shows, Sony, sweety high, Tegan Marie, Vaughn Lowery, warner music on September 13, 2017 by Pitch360. 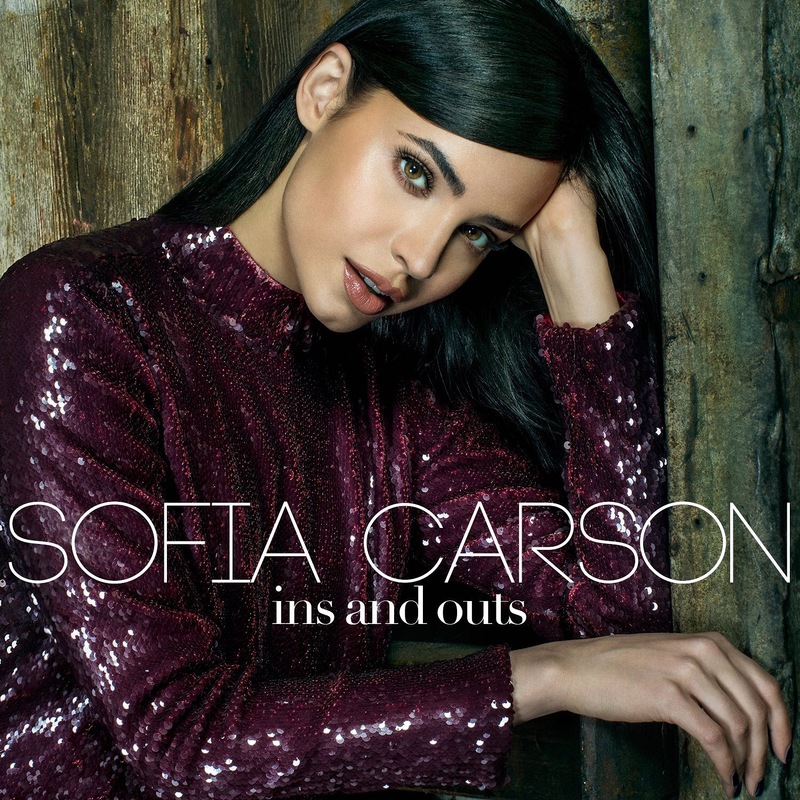 Hollywood/Republic Records Recording Artist Sofia Carson released today the video for her latest single “Ins and Outs.” The video directed by John-Michael Triana, follows Carson on an epic night out in NYC. Featuring Dutch model and social media star Twan Kuyper, the night takes on a life of its own and becomes a night to remember. Watch video HERE. “Ins and Outs,” written by Julia Michaels, Justin Tranter, and Jason Evigan, and produced by Jason Evigan, is on sale digitally and available for streaming globally ! now. Multi-hyphenate Carson stars as “Evie” in Disney Channel’s global hit Descendants 2, which reached over 26 million Total Viewers in with an unprecedented simultaneous premiere (Friday, July 21) across six networks. The soundtrack debuted at No. 6 on the Billboard 200 albums chart and the VEVO/YouTube music videos for the franchise have surpassed 1 billion views. Both Descendants soundtracks have over 130 million streams worldwide. Carson’s past two singles, “Love Is The Name” and “Back To Beautiful” have combined views of over 100 million. Carson recently performed “Ins and Outs” on the season finale of ABC’s Boy Band and on the Arthur Ashe Kid’s Day Special on ABC. Next, Carson will continue to travel the globe promoting Descendants 2, including stops in London, Paris, Madr! id and Tokyo. She will also headline the T.J. Martell Foundation’s 8th Annual Los Angeles Family Day on October 7th. Carson has starred in five movies including Disney’s Adventures in Babysitting and Warner Bros. A Cinderella Story: If the Shoe Fits. She has hosted several high-profile events, including “The Oscars: All Access,” “Radio Disney Music Awards,” and ABC & Disney Channel Holiday Specials. Carson is also a fashion icon, and has appeared on several best-dressed lists, including Vogue, Vanity Fair, Harper’s Bazaar and Los Angeles Times. Carson as amassed a legion of fans with over 10 million followers on social media. This entry was posted in Fashion + Music and tagged 360 Magazine, A Cinderella Story: If the Shoe Fit, ABC, ABC's Boy Band, Arthur Ashe Kid's Day Special, Back to Beautiful, Billboard 200 Albums, Billboarf, Cinderella, Descendants, Descendants 2, Diana Macaraeg, Disney, Disney Channel, Disney's Adventures in Babysitting, Evie, franchise, Harper's Bazaar, Holiday Specials, hollywood records, ins and outs, Jason Evigan, John-Michael Triana, Julia Michaels, Justin Tranter, London, Los Angeles Family Day, Los Angeles Times, Love is the Name, Michael Schwartz, nyc, Radio Disney, Radio Disney Music Awards, Republic Records, social media, sofia Carson, soundtrack, T.J. Martell Foundation, Twan Kuyper, Vanity Fair, Vaughn Lowery, vevo, vogue, Walt Disney, Warner Bros., YouTube on August 31, 2017 by Pitch360.